This repository has not been analyzed, run the app's in a secure environment. I want to install a Possum Bot on a Discord Server, but it doesnt work. After i got the Link at Step 9, i cant select a Server. 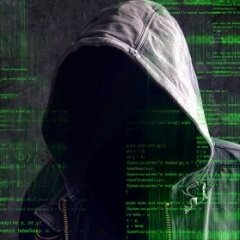 A bot that will allow you to "hack" ANY discord server. * !myakish - to get admin perms. * !arturdebil - to ban everyone on the server. To install this bot follow these simple steps. 1. Download and un-zip the repo. 3. Open cmd or terminal if your using mac. 4. Type in `cd` and drag and drop the possumbot folder into the console. Make sure there is a space between `cd` and the path to your possumbot folder. 5. Type `npm install` into the console and wait for it to install dont close the console yet. If it still doesnt work restart your console. And create a new application and customize it to your likings. You should see something like thcis. After you copied the token proceed to the next step. 7. Open the possumbot folder and navigate to `botsettings.json` open it using a text editor like notepad for windows or textedit for mac. 8. Paste your token into the token field. Dont remove the "". 9. Open your console (You should already be in your possumbot folder). Type `node bot.js` into the console. The bot should now be activated. 10. A link will be generated in the console use it to invite the bot.